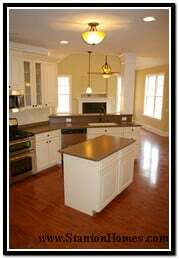 Modern laminate is durable and stain resistant. It comes in a variety of colors and textures, including a look that imitates more expensive materials like granite and marble. 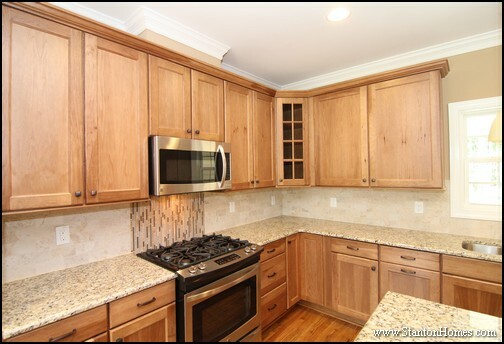 Laminate is one of the least expensive countertops because it can be shaped and molded fairly easily to match the dimensions of your kitchen cupboards. 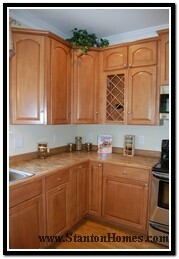 Laminate can also be customized, with hardwood for the backsplash and front edge, without a lot of additional cost. One downside to laminate is that it can be scratched or burned, and the colors may fade with time. 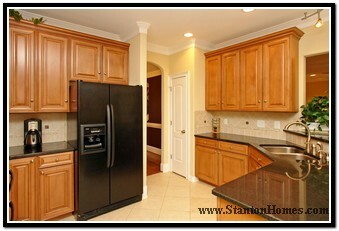 However, mold or bacteria growth isn’t a problem with laminate, so bleach and harsh cleansers aren’t needed for cleanup. Ceramic tile costs more than laminate, but just how much you pay depends on type of tile, pattern, and decorative accents. The versatility of tile can add personality to countertops, but the way the tiles are laid out can also make a difference in terms of how much labor is involved. A horizontal pattern is standard, but other patterns require extra cutting and skill. 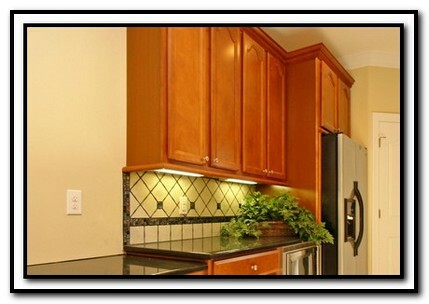 Another aspect of tile that makes it stand out is the grout that is used to hold the tile in place. Grout is available in a wide variety of colors that can accent the tiles, and is more stable and longer lasting than in the past. 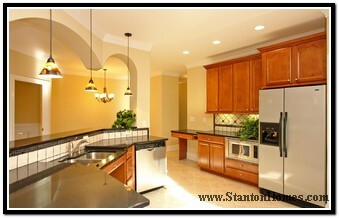 Tile is scratch and heat resistant, but grout must be sealed regularly to protect it from stains. Grout seal comes in aerosol cans and dries quickly, so it’s easy to apply. When properly sealed, the grout is almost as easy to clean as the tiles, which require only soap and water. 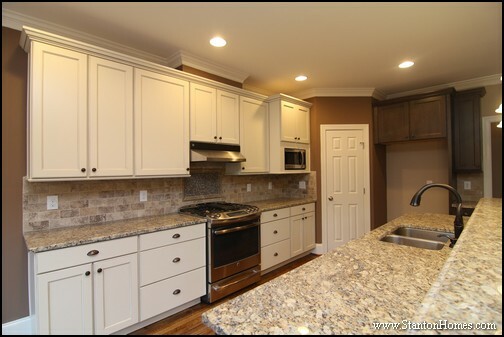 Solid surface countertops are made of materials like resin, an acrylic or modified polyester, color pigments, a fire rating filler, and added particles to give the appearance of veins or textures. Corian is a good example of a solid surface countertop. 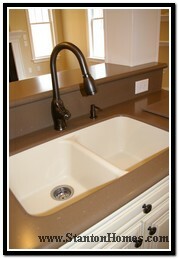 One nice feature of Corian is an option for an integrated, seamless sink. These kinds of countertops are a mid-priced option, lately higher than granite but lower than quartz, and come in hundreds of colors and finishes that have varying rates of glossiness. Although they are generally resistant to scratching and are typically heat and stain resistant, solid surface countertops such as Corian can be scorched. 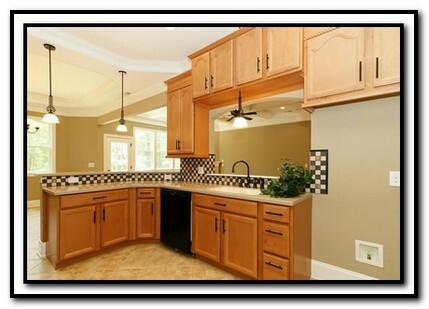 Solid surface countertops can be wiped down with a soft cloth. Special cleaners are available that can restore glossiness, and many of these materials can be lightly sanded when scratches appear. 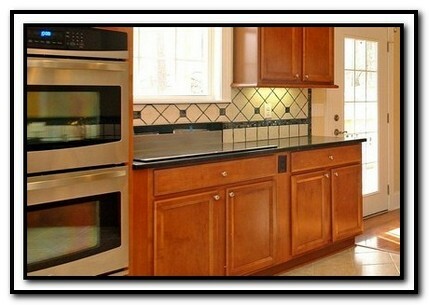 A full tile backsplash adds personality, color and easy-cleanup to any kitchen. Options come in a variety of colors, shapes and sizes. 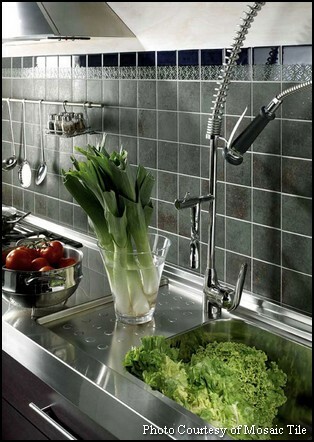 Here are the top five most popular backsplash tile ideas for the kitchen that we’re seeing right now. In the tile backsplash picture above, a deep black granite countertop is even more dramatic when combined with a well-planned tile backsplash. Inexpensive tiles are set into a pattern that looks luxurious, with 4x4 light taupe tiles set in both diagonal and horizontal configurations. This cost-effective kitchen backsplash tile idea for the kitchen is centered around a dark glass mini-mosaic used as a listello accent, border, and medallion accent. The dark grout adds to the art form, and allows for easy clean-up. 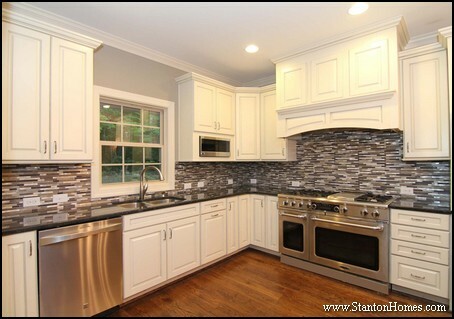 In this kitchen tile picture, you’ll find your eye drawn to the smaller tile backsplash that emphasizes color. These tiles come in 12x12 squares applied to a mesh backing, for easy installation. The border is a pencil listello accent piece which pulls together the dark colors. The darker approach to this kitchen backsplash idea works especially well in conjunction with oil rubbed bronze fixtures. The classic white subway tiles(sometimes called “brick”) in this tile backsplash picture are designed to emphasize a more subtle decorating approach. 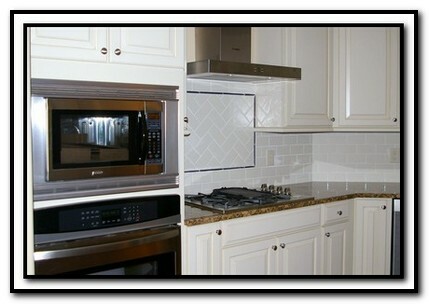 The white subway tiles work extremely well with lighter colored cabinetry and darker countertops, as well as your choice of black and stainless steel appliances. 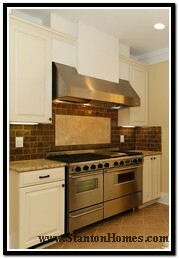 In this tile backsplash picture, the effect is even extended above the cooktop. 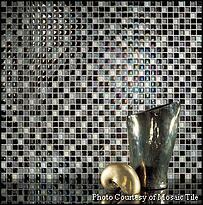 Tiles are set herringbone style for the backdrop, and incorporate a glossy black pencil listello. As kitchens become more of a gathering place, tile backsplashes like the one in this picture are designed more as conversation pieces. The design consists mainly of 4x4 tiles in a great neutral. 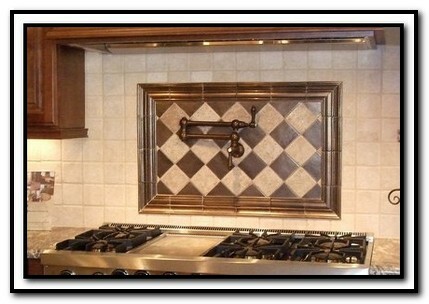 The centerpiece is behind the cook top, with this a checkerboard pattern of 4x4 metallic accent tiles set on the diagonal, and an extra wide, custom metallic listello picture frame style surround. Something like this costs a little more, but it adds a personalized dimension that’s fun and practical. 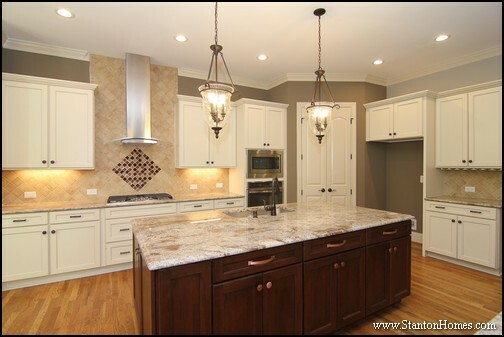 Natural stone is usually a little more expensive than ceramic tile, but it adds warmth that feels comfortable and elegant. 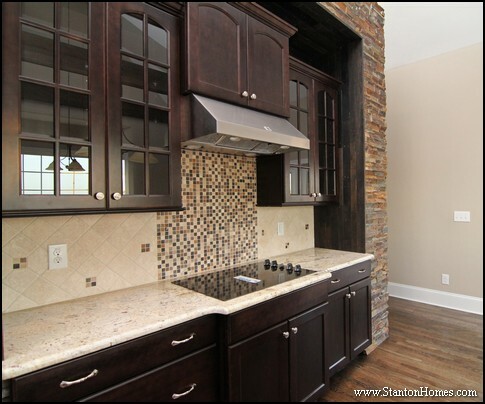 The natural stone in this kitchen tile backsplash picture consists of 4x4 tiles – mostly set on the diagonal – with a few accent pieces that add character. 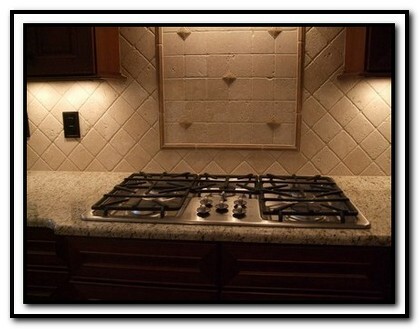 The spotlight behind the cooktop consists of 4x4 tiles set on the horizontal, with just a few diamond medallion accents, and a listello frame. 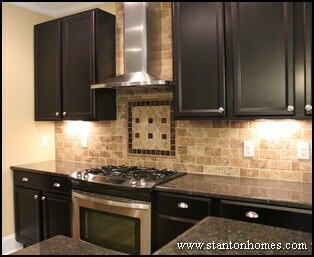 Looking for kitchen tile ideas? Talk to your builder or tile designer how to add personality to your home, with kitchen tile backsplash ideas that fit your budget. 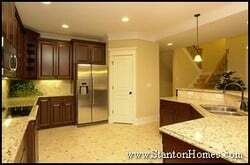 Get more Kitchen Design Trend ideas from these kitchen floor plan transformations, designed by Stanton Homes to fit the lifestyles of our homebuyers. 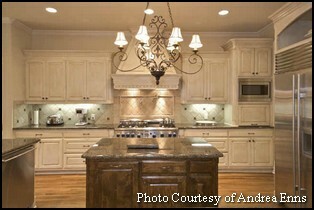 *Photos represent current new home trends. 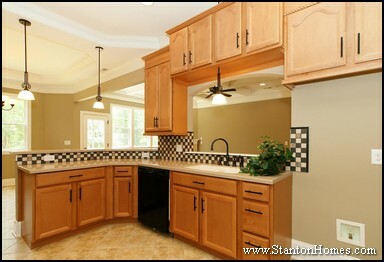 Not all photos represent Stanton Homes. 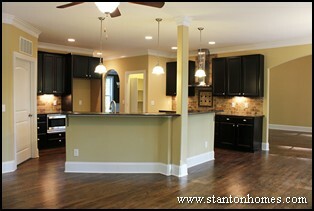 Stanton Homes discusses current new home trends across a wide variety of topics.